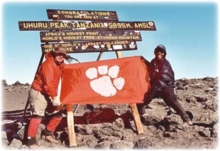 Rising 19,340 feet (5,895 meters) above the East African plain, Mt Kilimanjaro, the highest mountain in Africa, has lured trekkers from the four corners of the world. Situated a few degrees below the equator in northeastern Tanzania just a few miles from the Kenyan border, Kilimanjaro is the tallest free-standing mountain in the world and is an inactive volcano complex with three cones: Mawenza; Shira; and the best known, Kibo. 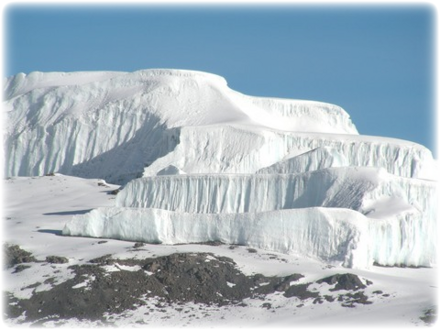 The highest point on Kibo is Uhuru (freedom in Swahili) Peak. This is what trekkers aspire to reach. Johann Rebman, a missionary in East Africa, brought the first reports of Kilimanjaro to the modern Western world. His 1848 report of "a vast mountain of gold and silver in the far interior, the approach to which was guarded by evil spirits" generated considerable interest. On October 5, 1889, Hans Meyer, a German geology professor, along with professional mountaineer Ludwig Purtscheller, and lead guide Johannes Kinyala Lauwo became the first European to reach the summit. 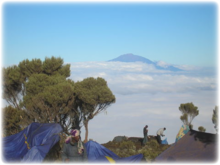 Today, trekkers usually contract with a Kilimanjaro outfitter (easily found on the web) who manages the logistics of the climb and provides guides, cooks, and porters. There aren't many trips in March/April and November because these are the rainy seasons. 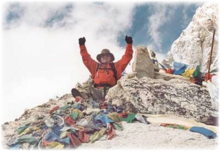 On the mountain, trekkers usually just carry a day-pack. Most trekkers enter Tanzania through Kilimanjaro International Airport (KIA) after flying from Europe. KLM and Northwest Airlines serve KIA (sometimes abbreviated as JARO), and a tourist visa is required for Americans. Although entry visas can be obtained at KIA, this is one more line after a long flight. ZVS is one service that can help with obtaining visas. 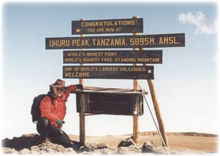 Trekkers are usually met at KIA by their outfitters and transferred to Arusha, Moshi, or Machame Village. 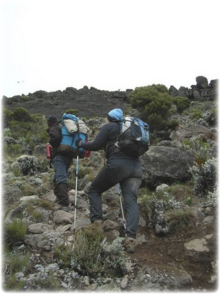 The officially sanctioned routes for climbing Kilimanjaro are Machame, Marangu, Rongai, Lemosho, Umbwe, and Shira. The Mweka route is used for descent only. All of the routes have advantages and disadvantages. 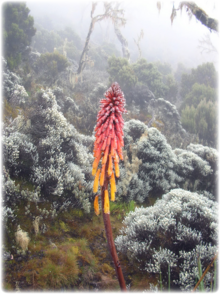 Marangu is the most popular and provides sleeping huts and a common eating room for trekkers. 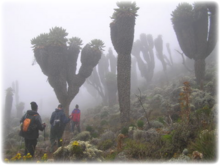 Umbwe and Shira are generally considered the toughest routes while Machame and Shira vie for the most scenic. Shira is intermittently closed because of rock slides. The usual trek is six to nine days depending on the route and whether or not an acclimatization day is included (recommended). The trekker will pass through five distinct zones: farmland on the lower slopes; the Montane Forest Zone (1,800-2,700 meters); the Heath and Moorland Zone (2,700-4,000 meters); the Alpine Desert Zone (4,000-5,000 meters); and the Summit Zone (5,000-5,895 meters). 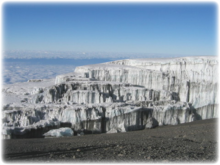 Not only is climbing Kilimanjaro a physically demanding adventure, trekkers face other challenges: infectious diseases; lack of facilities; the cold; jet lag on return; and most commonly, altitude sickness. A trekker should be in excellent physical condition before attempting the climb and should consult a physician regarding their suitability for high-altitude trekking, malaria prophylaxis, and altitude sickness prophylaxis. Many trekkers use the diuretic acetazolamide (Diamox) to prevent altitude sickness. People with sulfa allergies should be very careful about taking acetazolamide, and a small number of people get the "body tingels" from it. 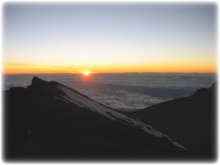 Commonly, Kilimanjaro trekkers combine a climb with a visit to one or more nearby game parks. Parks in the general vicinity include Arsha National Park, Tarangire National Park, Lake Manyara National Park, Ngorogoro Conservation Area, and the Serengetti. Tsavo and Amboseli are in nearby Kenya.